We’re back to continue our series on radical, community libraries! 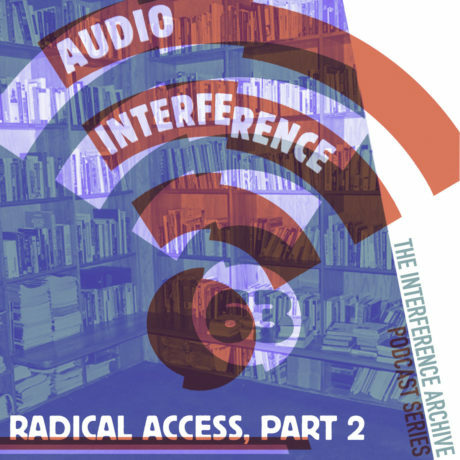 In this episode, we chat with Ola Ronke Akinmowo of the Free Black Women’s Library, Dev Aujla of Sorted Library, and Jen Hoyer and Daniel Pecoraro from our own Interference Archive library. Australia has a rich history of political poster collectives that emerged in the 1970s and are now experiencing a resurgence. 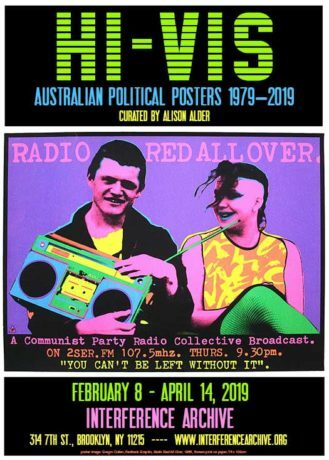 Curator Macushla Robinson will [do her best to] contextualize the political posters on display as part of Hi Vis: Australian Political Posters within the broader frame of Australian political movements, protest work and print culture over the past 40 years. An exhibition of exquisite screen-printed posters—rarely seen in the U.S.—that provide a visual commentary of politics and life in Australia over the last four decades. 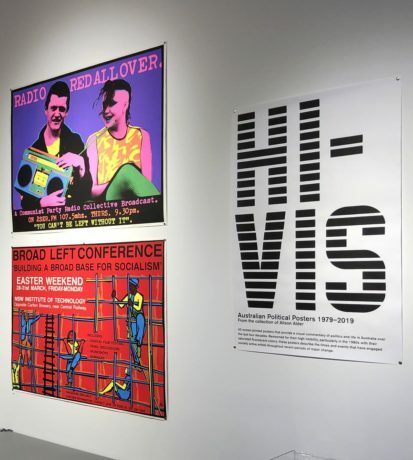 Renowned for their high visibility, particularly in the 1980s with their saturated fluorescent colors, these posters describe the times and events that have engaged socially active artists throughout recent periods of major change. This exhibition looks at how music has shaped the manners in which we understand ourselves in the past, present, and into the future. 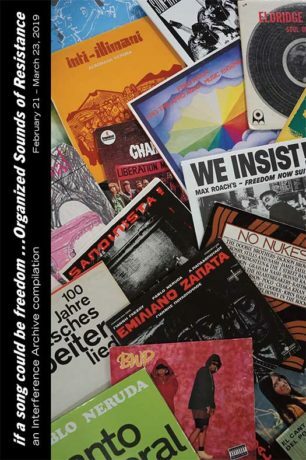 It features the picture sleeves of more than 200 political recordings—as well as other ephemera-from across the globe that expose the broad scope of the intersection of music and politics. Visitors are invited to listen to mixtape podcasts, which will also be played on WSIA 88.9FM during the course of the exhibit.